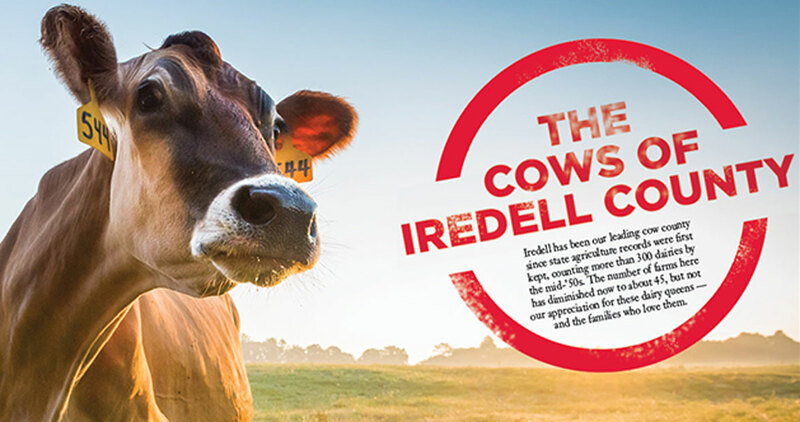 Iredell has been our leading cow county since state agriculture records were first kept, counting more than 300 dairies by the mid-’50s. The number of farms here has diminished now to about 45, but not our appreciation for these dairy queens — and the families who love them. Thirty years ago, Allen Johnson put on a monkey suit to sell one of his prized Holsteins. It was 1984, and Johnson got a call from investors at Southfork Ranch — yes, the one in Texas; the one with the Ewing Mansion; the one where the television show “Dallas” was set from 1978 to 1991. 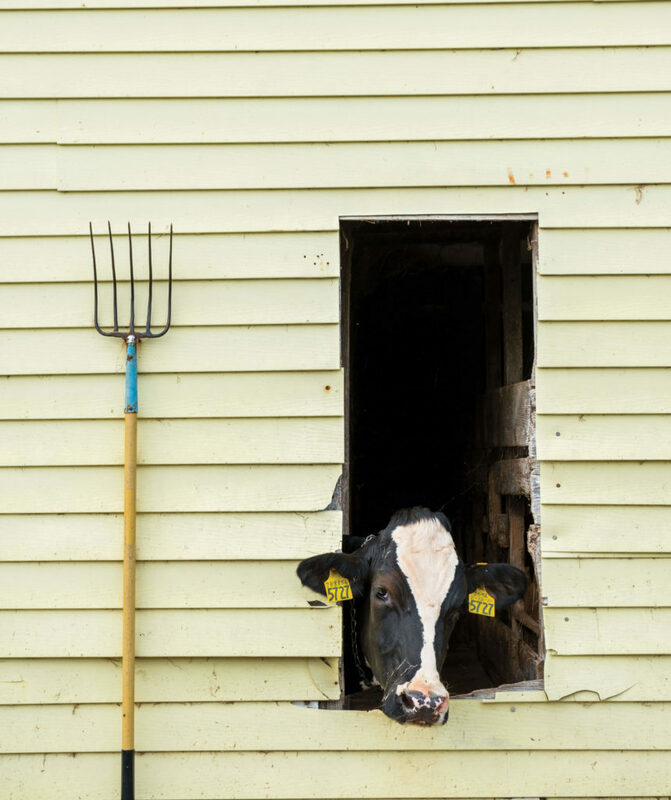 The sale organizers asked the Hamptonville farmer to dress nicely — a tuxedo would be appropriate, they said — and bring Ravena, a cow with such a superior bloodline that, now, the No. 1-ranked bull in the nation traces back to her. And he did, and Ravena sold at the auction. She was the prize of the day. 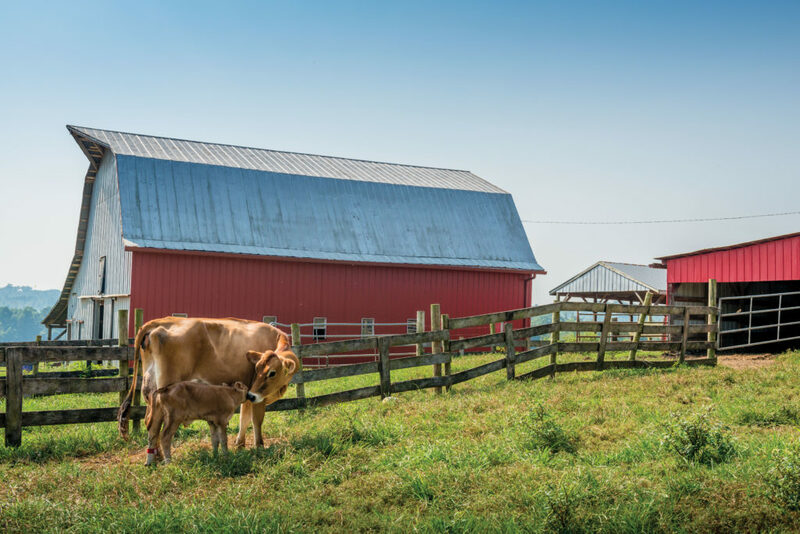 Johnson kept up his standard of breeding top Holsteins at his Jafral Holsteins farm; today, his cows are the only herd south of the Mason-Dixon line designated a Herd of Excellence in the Holstein Association’s national rankings. 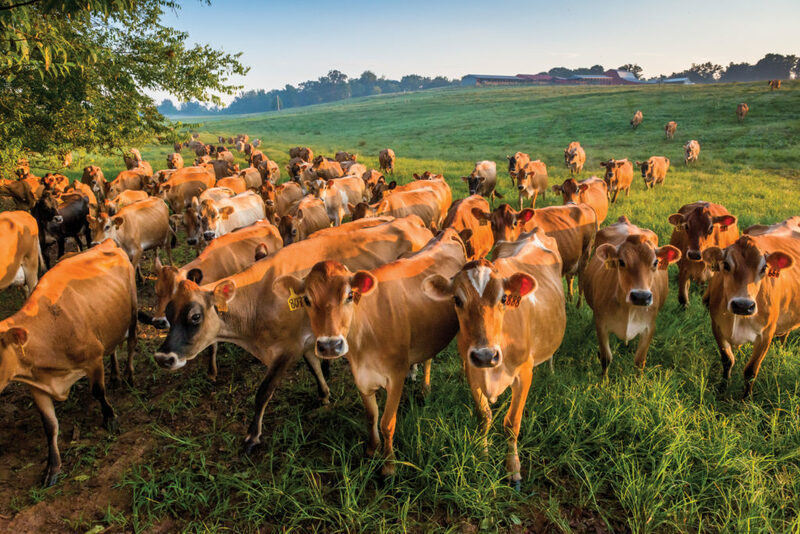 In 1974, Dennis Leamon was reading the trade magazine Jersey Journal when he came across an advertisement for Jersey cow farmers to come to Iredell County. Leamon, who is from Tennessee but was working on a large farm in Florida, jumped at the chance. 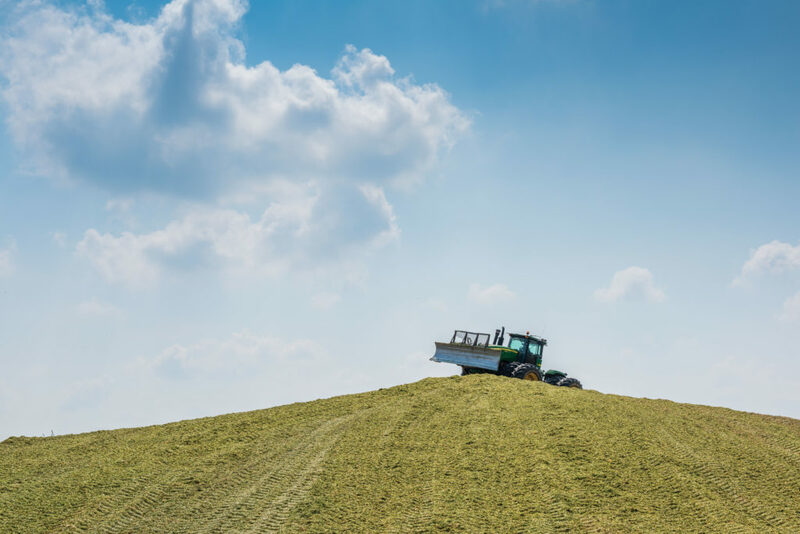 Ray Elmore’s wife, Linda, didn’t grow up on a farm, although her family always had a milk cow on hand, and her father planted row crops, like potatoes. After a hard season of hoeing potatoes, 16-year-old Linda told her mother, “I’m going to marry a man who buys my food.” That year, in 1962, she met Ray. The couple dated for three months, got married, and bought their first Jersey just 14 months after their first daughter was born. As their family grew — five children, seven grandchildren — so did their herd. Now, at their Dusty Road Jersey Farm, the Elmores milk 260 Jerseys, and Ray counts on grandsons Carson, 15, and Bryson, 3, to lend a hand. 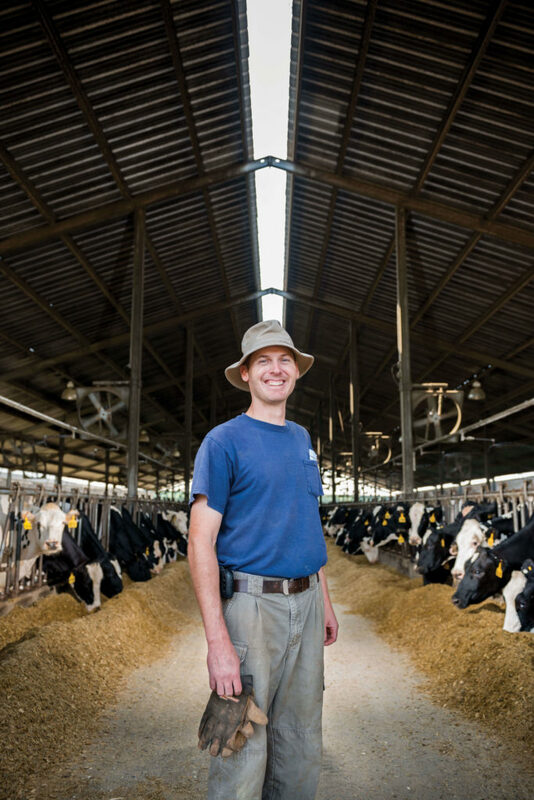 Ethan Myers, 37, decided he wanted to be a dairy farmer when he was 8 years old. After he graduated from North Carolina State University in 1999 with a degree in Animal Science, he came home to Union Grove to work the family farm with his dad, Barry. 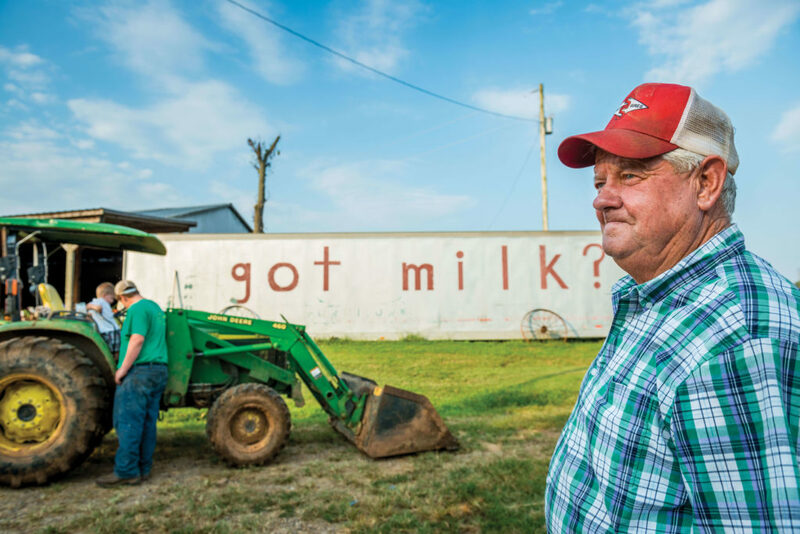 Barry took over the family farm from his dad, Ethan’s grandfather, Homer Clay — everybody in Iredell County called him “HC” — who started the business in 1947, after he returned from flying B-17 air-sea rescues in World War II. HC died in 2006, but Barry, his wife, Maryjane, and Ethan carry on the mission of raising superior milking cows. 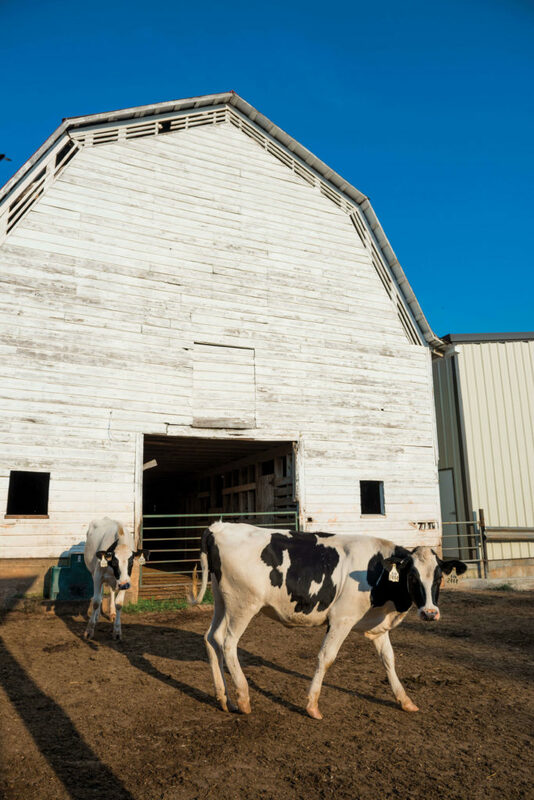 The Myerses’ all-Holstein herd has won the nation’s top honors for milk quality. In the early 1950s, little Robert Stamey, about 2 years old, was pulling the reins of a heifer not much taller than he was on his family’s farm. A photographer roaming the Iredell County countryside snapped a picture, and it appeared on the cover of The State magazine in 1957. 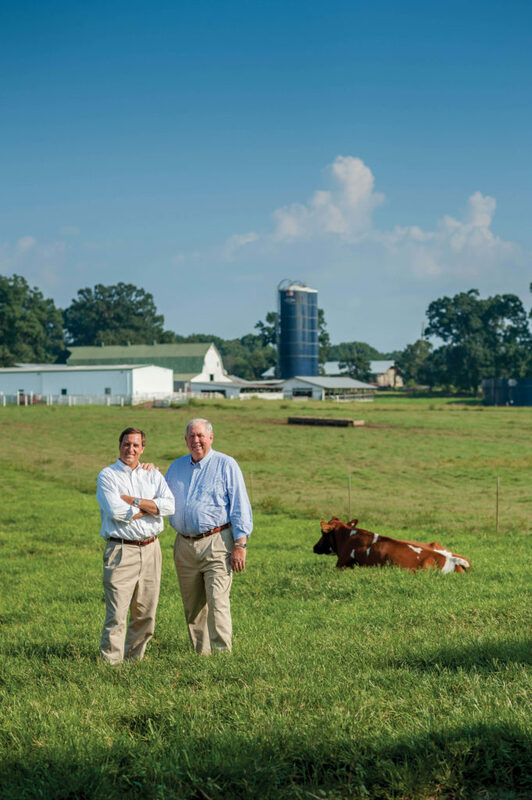 That’s Bob now, standing in his pasture with his hand on the shoulder of his son, David — the sixth generation of Stamey Farms. 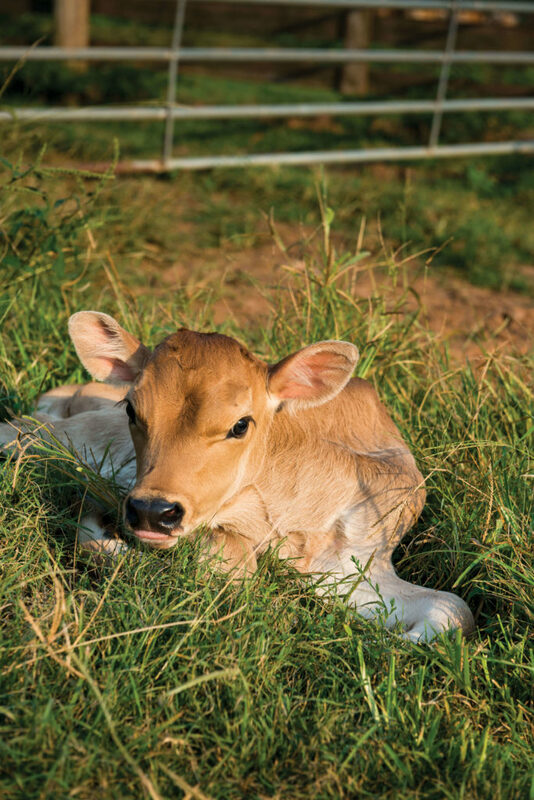 Although the farm is a family affair, its appeal is international. Sam Dobson’s family has had this farm since the late 1700s, and now, Sam is teaching his 6-year-old son, Chase, the ways of the land. 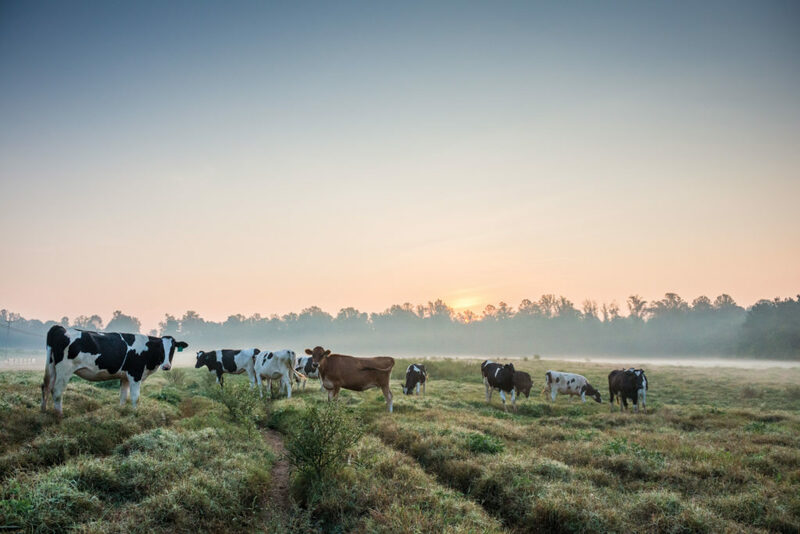 Dobson Farm is the seventh dairy farm in the state to be certified organic, and for Sam, that means a return to one of the oldest methods: all grazing. 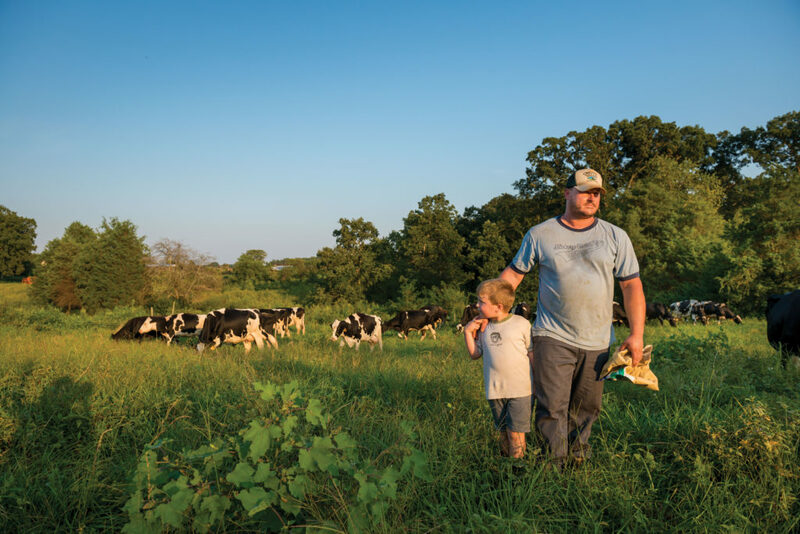 Here, Sam and his son take the cows to a new patch of grass after milking — their 100-head Holstein herd eats 10 meals a day. When Dr. Ben Shelton finished veterinary school, he “wanted to see if all the things you tell people are really going to work,” he says. 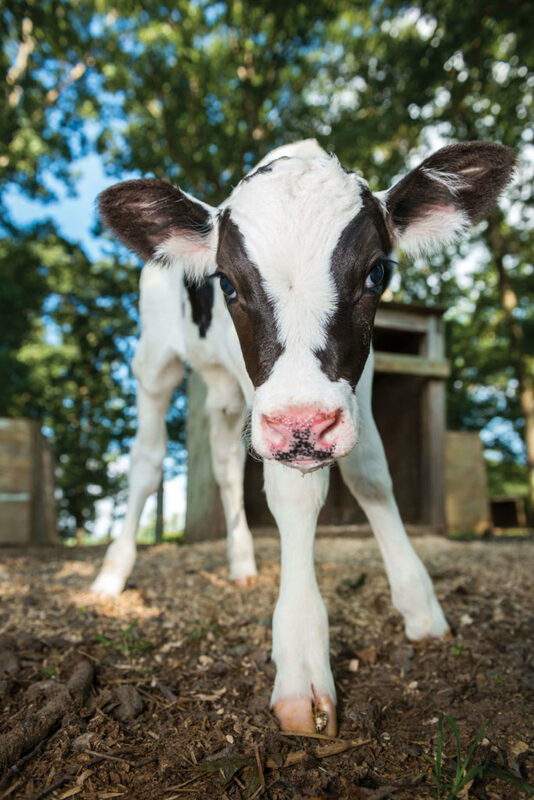 So, along with his practice at Rocky Creek Veterinary Services, he oversees the milking of his 1,400 Holsteins at Rocky Creek Dairy, as well as the packing of corn silage to fill the farm’s silos, and he stays on top of advances in genetics research to breed better cows.